Sail ports across the Caribbean in style and comfort when you join us aboard Holland America’s beautiful ms Nieuw Amsterdam. If you arrive early there are lots of fun things to do in this tropical city. 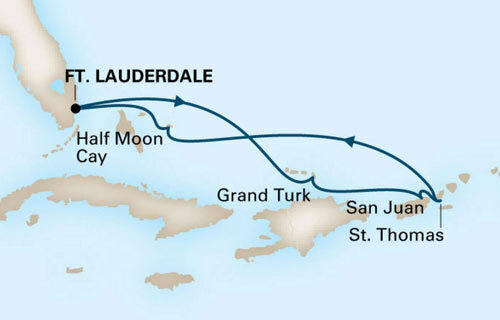 Fort Lauderdale lies along the Atlantic Ocean at the mouth of the New River, 25 miles north of Miami. 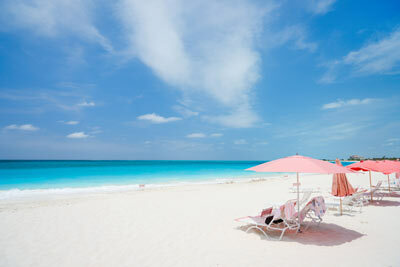 Its warm tropical weather attracts many people throughout the year. For sun-worshippers, the city has six miles of beaches. Go fishing, take one of many sightseeing cruises of the harbor, ocean, or wetlands. Tour a museum, see a butterfly farm, or ride a roller coaster. Shop upscale boutiques or flea markets. 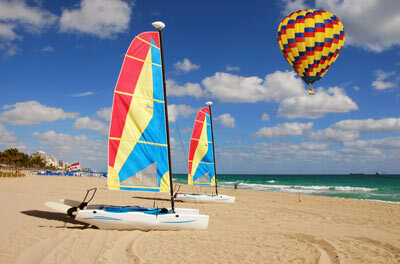 Ft. Lauderdale is an entire destination in itself. There are also many recreational waterways with extensive boating facilities, access to every conceivable watersport, a variety of fascinating museums and trendy restaurants, and an array of entertainment venues. Take a 30-minute airboat ride across the Everglades, one of the most breathtaking natural areas in America. Discover a variety of fish and birds that inhabit the area, and perhaps see the most famous Everglades inhabitant—the alligator. Fish is fresh and delicious in Florida. Grouper is probably the most popular choice and is served almost any way imaginable. A true Florida staple is a fresh grouper sandwich and fries eaten outside by the water. Capital island of the Turks and Caicos, Grand Turk is one of the main historical points of Turks and Caicos. Cockburn Town is the administrative capital and the historic and cultural center of the islands. It is strongly reputed to be the landfall island of Columbus during his discovery of the New World in 1492. The town itself is well suited for a walking tour. Duke and Front Streets are lined with historic 18th and 19th century landmarks that reflect the Bermudan style architecture of the salt era. 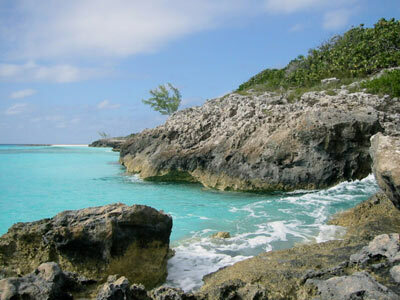 In town you will find many Bermudian and Colonial style buildings and ruins along with the Turks and Caicos National Museum in which you will find a central exhibit that tells the story of the Molasses Reef Wreck, the oldest European shipwreck discovered in the Western Hemisphere (dated around 1505). This museum also highlights the rich cultural and natural diversity of the islands. Other historic sites include the Lighthouse, Fire Hill, and the Hawks Nest Anchorage. One of Grand Turk’s main attractions is diving. 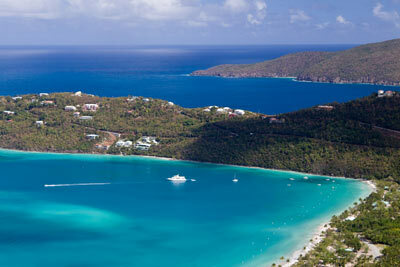 There is an outstanding protected coral reef, which drops to 8,000 feet and is close enough to shore for beach dives. A very popular excursion just off Grand Turk is Gibbs Cay where visitors can enjoy an uninhabited island, a picnic on the beach, and a chance to feed the beautiful stingrays who swim right up to shore. With more than 500 years in the making, San Juan is the cultural, social, and historic heart of Puerto Rico. 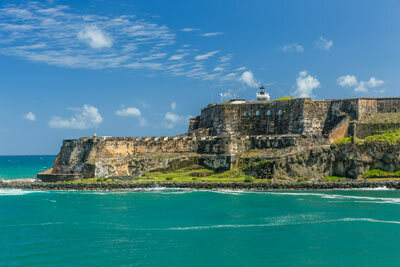 Historic treasures of majestic Old San Juan, the charming walled city with its imposing fortresses, colorful colonial architecture and numerous attractions add to the allure. A short taxi ride from the old city lie the world-class boutiques, including Gucci, Louis Vuitton and Ferragamo, and restaurants of Condado, the inviting beaches and resorts of Ocean Park and Isla Verde and the bohemian neighborhood of Santurce. With so much to see and do, the city caters equally to history buffs, adventurers, shopaholics, honeymooners and indolent sunbathers. This is one of the most beautiful regions in the world. Charlotte Amalie is the capital and major passenger port of the island of St. Thomas, which together with St. Croix and St. John form the principal islands of the United States Virgin Islands. Charlotte Amalie has always attracted large mercantile ships, even before the arrival of the transatlantic passenger cruisers, and tourism has been the major maritime activity for the last few years. Discover duty-free shops, historical buildings, and stunning waterfront views. Small boutiques offer high fashions and cozy bistros serve delectable cuisine. Why not ferry to nearby St. John where you can take a scenic tour of this gorgeous island including the beautiful Virgin Islands National Park that covers over half of the island of St. John. The private island of Holland America’s Cruise Line, Half Moon Cay, allows you to enjoy your fantasy of a secluded Caribbean Island. Miles of white sand beach and crystal clear water are perfect for snorkeling. Hobie cats and kayaks are yours for exploring. Enjoy a beach party lunch, great island music, horseback riding, parasailing, deep sea or “flats” fishing, and scuba diving. It’s all here on your private island! The ms Nieuw Amsterdam’s interior design and art collection reflects the glamour and history of New York City, formerly called Nieuw Amsterdam. This ship further defines and expands the Holland America Line premium brand with new concepts such as the innovative pan-Asian Tamarind restaurant and Silk Den lounge surrounded by panoramic views overlooking the ocean expanse and the Lido pool. Other additions are an Explorer’s Lounge Bar, a premium wine-tasting lounge, an elegant luxury jewelry boutique, atrium bar area, enhanced and reconfigured show lounge, and a photographic and imaging center. Tamarind Restaurant and Silk Den Lounge: A new Pan-Asian restaurant and lounge with panoramic views of the ocean and Lido Pool area. Canaletto Restaurant: Named for a famous 18th-century Venetian artist, Canaletto is your destination onboard for an intimate Italian dinner. The evening begins with the chef’s selection of antipasti with a taste of the delicious fare and personal, polished service to follow. Cabanas: Private cabanas are available to reserve by the day or by the cruise. Available on two decks, they are tastefully decorated, filled with amenities, and provide an exquisite and comfortable poolside retreat. Cabana Club: Your own private oasis located high above the rest, the exclusive Cabana Club is the ultimate place to relax surrounded by healthy refreshments and luxurious amenities. 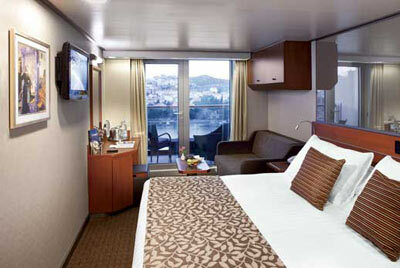 Spa Staterooms: Relaxation, privacy, serenity. 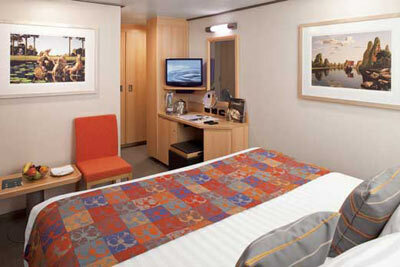 These are the hallmarks of the ms Nieuw Amsterdam’s spacious new Spa Staterooms, located on the Panorama and Observation decks. They also include special spa amenities. The Digital Workshop: Guests will be able to show and tell their vacation memories by learning how to share all their digital memories through e-mail, blogging, and social networking, so friends and family can see where they’ve been cruising even before they return home. The Culinary Arts Center, presented by Food & Wine Magazine: State-of-the-art demonstration kitchen offering interactive gourmet cooking lessons taught by Master Chefs or culinary guests. Manhattan Dining Room: Features impeccable service and an extensive wine list. 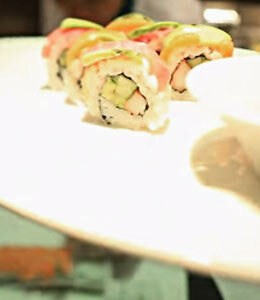 Five-course menus include continental cuisine, vegetarian, and low-carb options. Pinnacle Grill: This intimate reservations-only venue offers an elegant, sophisticated dining experience. Featuring premium Double R Ranch Beef, inspired seafood dishes and many select wines rated “Excellent” by Wine Spectator, as well as distinctive Bvlgari® china, Riedel® stemware and Frette® linens. Explorations Café, powered by The New York Times: A comfortable, coffeehouse environment where you can browse through an extensive library, surf the Internet, check email, or simply read the morning paper. The Showroom at Sea: Features talented vocalists, dancers, illusionists, comedians, and variety acts. Crow’s Nest: Offers sweeping 270° views during the day, and a hip, fashionable nightclub each evening. Club HAL®: A dedicated youth facility with activities for kids ages 3 to 12; activities are supervised and age appropriate. The Loft: Designed exclusively for teens to have fun, socialize and hang out with people their own age. The Loft includes our new video editing facility for teens. 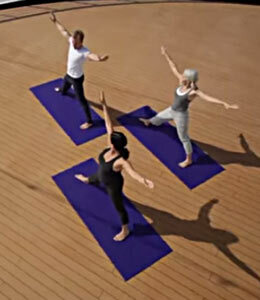 Please CLICK HERE to visit Holland America's website documentation for new cruise passenger's most frequently asked questions. 2 lower beds convertible to 1 Queen-size bed, bathroom with dual sink vanity, full-size whirlpool bath and shower with additional shower stall, large sitting area, private verandah, 1 sofa bed for 1 person, floor-to-ceiling windows. 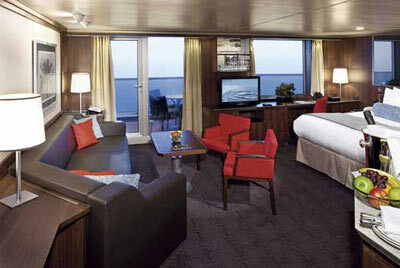 2 lower beds convertible to 1 Queen-size bed, bathtub and shower, sitting area, private verandah, floor-to-ceiling windows. 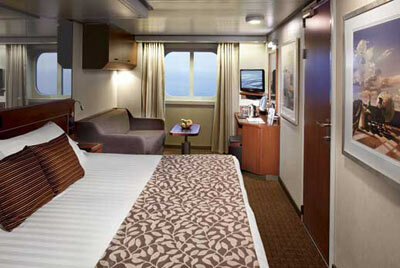 Reservations will be secured and cabins assigned upon receipt of passenger deposit of $700 per cabin. Final payment as instructed by our travel agent. Due to the number of details needed to complete cruise cabin booking accurately, a cabin will not be booked for you until you have spoken with one of our cruise agents via phone or via direct email correspondence. 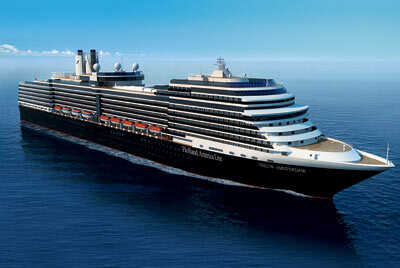 Please contact our office at 1-800-222-6927 or 1-509-547-7065 to complete your cruise reservation. Certified Registered Nurse Anesthetists: This program has been prior approved by the AANA for 20 Class A CEC; AANA Code #1036255; Expiration Date 1/4/2019. $100 between October 31, 2018 and November 30, 2018. No refund after November 30, 2018; however, 50% of tuition paid may be applied toward tuition for another NWAS program within the next 12 months. Cancellation must be in writing.